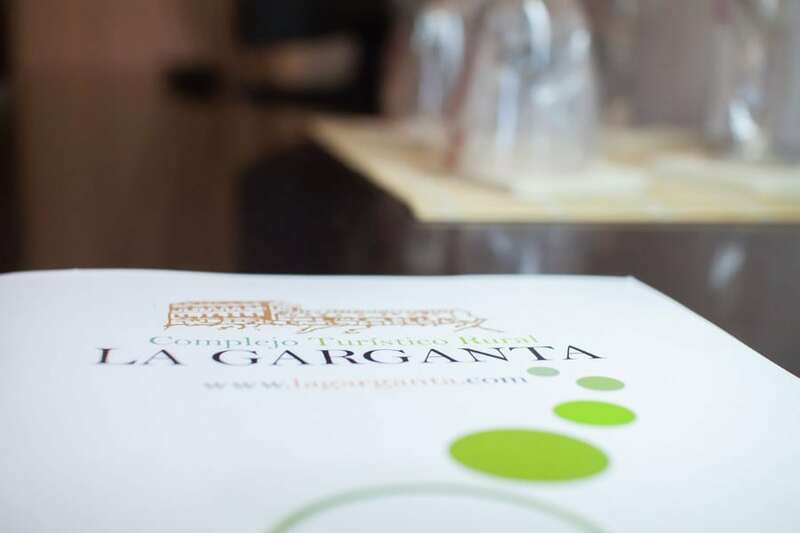 La Garganta makes available to its friend clients extensive offers to combine services and packages and make the best of their visit, with the best prices and options for all preferences and needs. Turn your visit to El Chorro into a luxury experience. Accommodation with the best rest, the best activities and be the most exclusive. 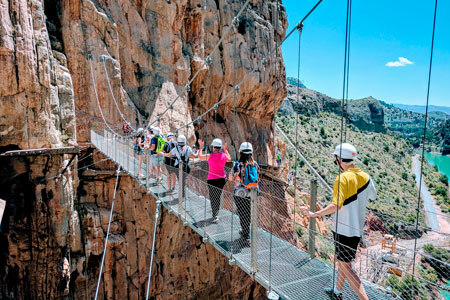 Visit the Caminito del Rey at your own pace. We get you the ticket and we offer you the best traditional food in our restaurant. Escape as a couple, surprise her enjoying a dinner by candlelight, a room decorated, chocolates, cava or massages among other details. 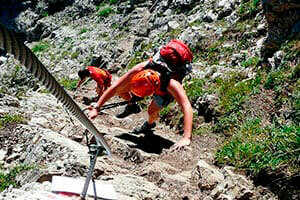 We offer a range of outdoor activities in a privileged environment for those more adventurous. Experience and live new sensations. If you are a company and want to organize an event, contact us and tell us what you need to adapt a pack to your size. We want your visit to be unforgettable, so if you have a particular wish or dream, contact us and we will help you make it happen. Stay in a superior double room 1 or 2 nights, with breakfast and dinner, and enjoy the surroundings of El Chorro, a unique enclave. 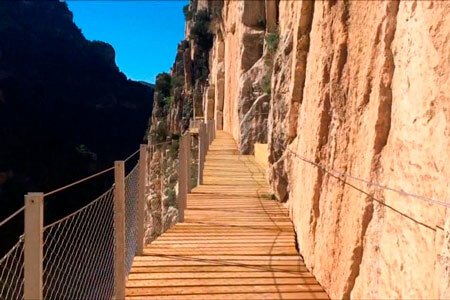 Visit the Caminito del Rey and get some strength in our Restaurant in La Garganta. Complete the experience of tasting the best traditional chorreña food. Book one or two nights in a room decorated for the occasion, with chocolates, cava or massages among many other details. Enjoy El Chorro as a couple! Packs for the more adventurous. We offer a range of outdoor activities in a privileged environment: kayak, rappel, via ferrata and Caminito del Rey. To reserve one of these packs it is necessary to pay 100% in advance. 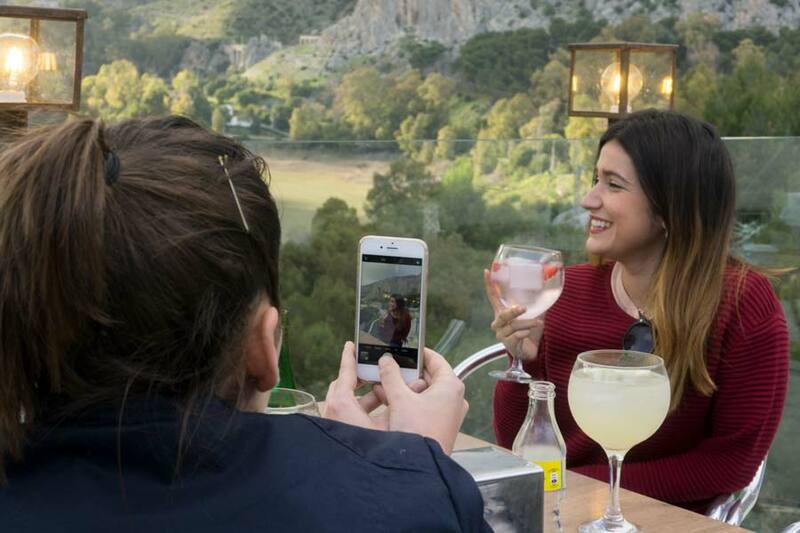 If your pack includes the Caminito del Rey tickets, you have to take into account that if you cancel your reservation you lose the price of the tickets and other services attached to the Caminito del Rey service. Consult the rest of the conditions for the reservation of tickets. If you cancel before 72 hours of the day of entry, you only have expenses Caminito del Rey services and other multi-adventure activities. If you cancel 72 hours before the day of entry, the costs are 100% of the pack price. Superior double to double room supplement: 25€. Supplement of double room superior to Junior-Suite: 65€. Supplement for transfers from and to Malaga airport, 95€ for each trip of 4 people. Supplement 3rd person, consult price according to pack. Now get your pack and enjoy your stay! I agree to receive information of interest and special promotions from La Garganta. Data controller: Complejo Turístico La Garganta S.L. Purpose of the data: Manage user reservations. Data storage: The data provided are recorded in a private file for the sending of information of interest, just in case of express authorization of the user. If you have any questions, suggestions, or special requests, please contact us and we will do our best to provide you with the solution that best suits your needs.